Register Log In ECN Forum Forums Photos for General Discussion Catch of the Day !! 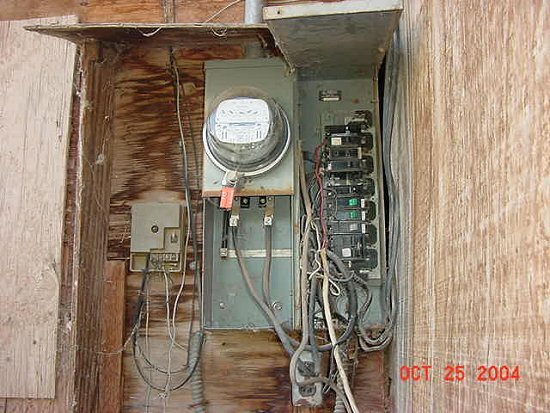 Nothing like a nice clean electrical service to keep from drawing attention to an energy theft. This one had reportedly been turned off over two years ago and the suspect admitted that he has been living there for that length of time. In photo #2 is that melted plastic where the factory installed main is supposed to be? If some people would expend the energy on legit pursuits that they use being a thief,they would do well. 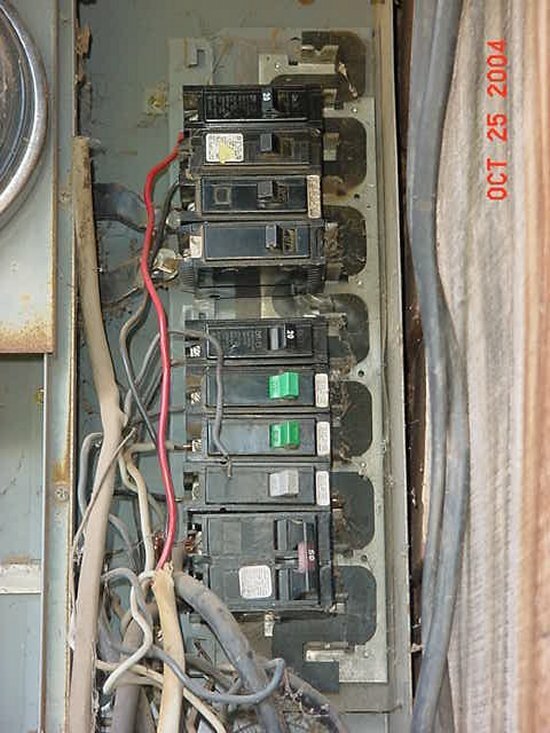 One of the "Hallmarks" of a Zinsco/Sylvania/Challenger panels, is when they have not been painted on site, is a nice rusty patina,as this one shows. Judging by the finish work on the plywood linings, this isn't exactly luxury accommodation. What type of cable is that in the pictures?. 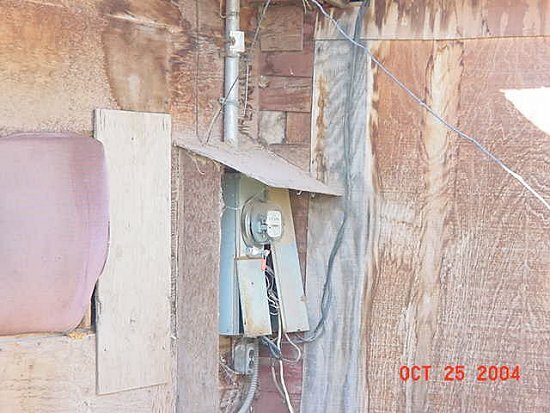 I couldn't agree more Rollie, it also makes you wonder what kind of an idiot would leave a couple of cables running out of an open panel, to God knows where, in full view of anyone that may be checking the meter.